All told, the bust of Lenin stood 10 feet high. While Russia — in 1974 and still today — has long served as America's greatest international rival, the Spokane World's Fair stands in history as a sort of friendly oasis, a celebratory demilitarized zone where President Nixon joined local residents to welcome Soviet visitors as well as future political foes from Iran. King Cole and other fair organizers put great efforts into recruiting a wide variety of nations and cultures to the event. J. William T. Youngs writes in his exhaustive history of Expo '74, The Fair and the Falls, that officials wanted a world-class showing of international identity. Multiple countries hosted pavilions, but at 54,500 square feet, the USSR Pavilion alone covered more space than all of the foreign exhibits at the 1962 World's Fair in Seattle. "Along with the pavilions came dozens of foreign performance groups from the exhibitor nations and other countries, adding to the sense that Expo '74 was indeed an international event," Youngs writes, adding, "Spokane was, after all, prepared to host a world's fair." Sitting just across the river from the Spokane Opera House, the USSR Pavilion featured an immense 4,500-pound aluminum map of the Soviet Union across the front entrance. 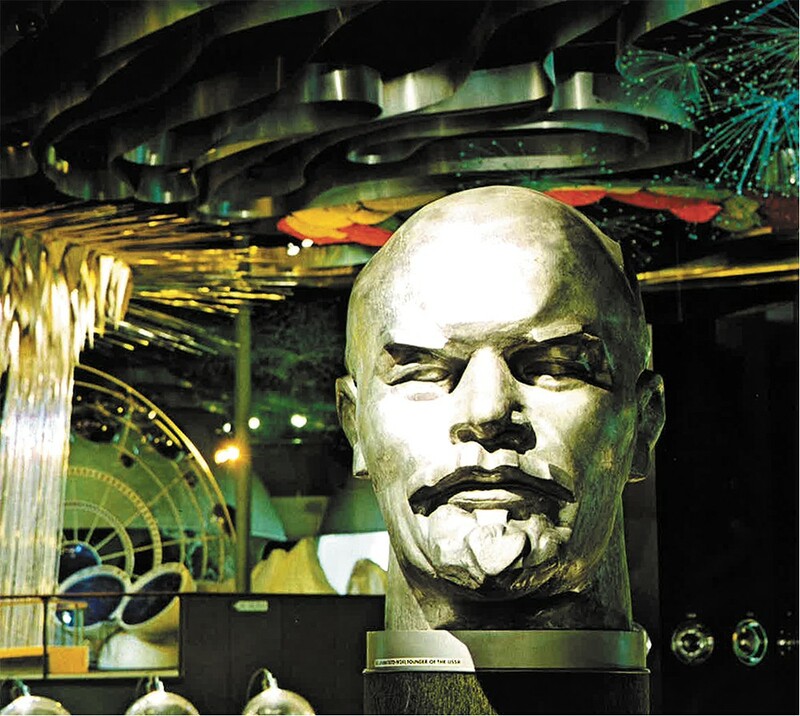 Inside, a massive bust of Lenin greeted all visitors as they passed through exhibits on Soviet cities, technological advancements, national heritage and industrialization. A restaurant in back served borscht. Youngs explains that Nixon had recently signed an environmental accord with the Soviet Union. The president arrived aboard Air Force One amid the festivities, just days after releasing the Watergate tapes. Reports say he accidentally referenced to Gov. Dan Evans as "Governor Evidence" when first addressing locals at Fairchild Air Force Base. Iran became another enthusiastic participant with its elaborate pavilion decorated in the national colors of red, green and white. Youngs writes that exhibits included prehistoric sculpture, modern paintings and a film on the royal ceremony crowning the shah and queen. The queen would later invite Cole and his family to visit, welcoming them to the kingdom just a few years before the Iranian Revolution would sever the country's political ties with the U.S. in 1979. Bellhops at the Ridpath Hotel also grew fond of the Iranian visitors, Youngs writes. One bellman recalled he could make more than $300 a night serving the Iranians, who he says threw money around "like you couldn't believe." Security tensions still prevailed in some cases. The Secret Service positioned snipers on rooftops and Soviet ambassadors had a strict 25-mile travel limit. The Soviet security chief repeatedly expressed concerns about the B-52 bombers flying in and out of Fairchild. "Why is it that your bombers fly over our pavilion?" he asked suspiciously. At the time, more Soviets worked in Spokane than in either the United Nations in New York City or the Soviet embassy in Washington, D.C., Youngs writes. Many locals found the Russian visitors somewhat "gruff" or "stubborn," but the two nations also made many diplomatic inroads.